Led by Bob Vokey, the wedge business at Titleist is crushing it on Tour and at retail. 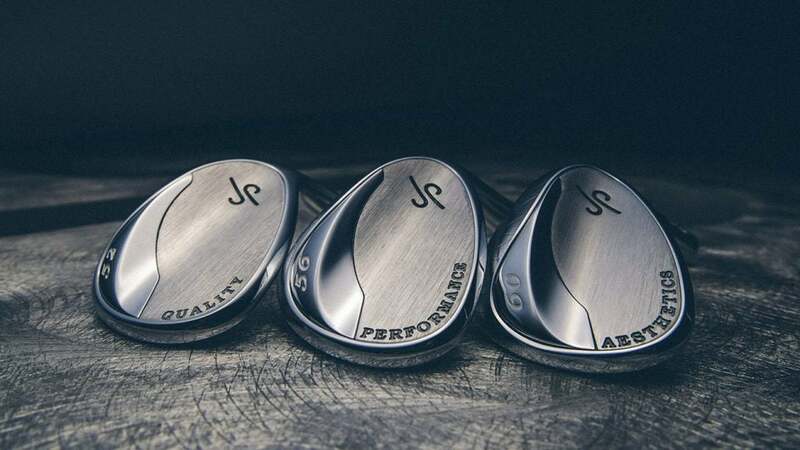 To piggyback on that success, the company debuts JP Wedges, which are designed and built by James Patrick (JP) Harrington. Heard of him? And, no, he's not related to Padraig. Regarded as one of the finest wedge grinders around, Harrington honed his craft at Hot Stix Golf, Cool Clubs and Edel Golf. In 2009, he started his own shop (out of his parents' house), where he made one-of-a-kind hand ground forged custom wedges. Harrington joined Titleist in 2013 and spent the better part of three years creating what the company touts as "the ultimate wedge fitting experience." Beginning May 5th, you can book a fitting session for JP Wedges through Harrington's website or by calling 800-324-3350. Harrington will work one-on-one with you for three hours at the Titleist Performance Institute (TPI) in Oceanside, Calif. TPI, which is part of the Acushnet Company's test facility, is home to a pristine short-game area with Bermuda grass fairways (ryegrass in the winter), seven greens, and bunkers that feature two types of sand, to replicate almost any course condition. As part of the fitting, JP uses the TrackMan launch monitor as well as a high-speed camera (10,000 frames per second) to capture the club's attack angle, the impact position and turf interaction, which helps determine the correct loft and bounce. Harrington, of course, builds the wedges to your exact specs that same day. "Everybody has a unique golf swing," says JP. "Everybody has a unique angle of attack and dynamic loft. Those two things play a key role in what bounce or sole is going to fit you best. By using high-speed video we're able to analyze your swing mechanics, your true delivery to the golf ball, and create a sole design that gives you efficient and consistent turf interaction, which translates into forgiveness." JP Wedges are milled, multimaterial heads with a forged 1025-carbon steel body. Dense tungsten pieces (60 to 100 grams, depending on the loft/bounce option) are low and toward the toe while lighter-weight titanium is higher in the head. The tungsten adds forgiveness and shifts the club's CG closer to the center of the face to boost feel and control. Plus, the wedges—available 45° to 60°, in one-degree increments—have a constant CG height throughout the set for more consistent feedback and distance control. The milled "TX4" groove pattern is used in Vokey SM6 wedges as well. And, the cambered sole has plenty of heel-toe relief so the heads won't snag through the turf. Harrington finishes off the creation by adding paint fill and a personal engraving onto the titanium piece. Branding a young, talented craftsman like Harrington is a little like what Titleist did with putters twenty-plus years ago. Naturally, it remains to be seen if JP will be the wedge equivalent to Scotty Cameron. So, is this a dress rehearsal for Harrington as far as eventually replacing the 77-year old Vokey? "Not at all. Bob's assembled a wonderful team and this is separate from that," says Josh Talge, Vice President, Titleist Golf Club Marketing. In any case, JP Wedges and Vokey Design wedges offer different approaches to short game products and performance, so the company intends to maintain the independence of the two brands. One thing we know for certain is that folks playing JP wedges will be in exclusive company. "In year one, he'll fit approximately 150 golfers," says Talge. "We'll look to expand from there." The JP Fitting Experience costs $2,000, which includes the three-hour fitting session plus three custom-built wedges. Each additional wedge is $500.